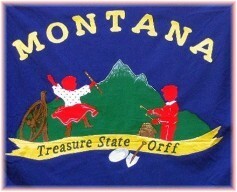 Welcome to the Treasure State Orff Chapter! “Elemental music is never alone, but forms a unity with movement, dance, and speech,” (Carl Orff). This workshop will explore teaching processes that incorporate movement-using creativity of the Schulwerk media as our guide. The day will flow featuring both primary and intermediate pieces from the volumes as well as analyze different approaches to folk dance using the lens of the Schulwerk. Participants will experience ways to facilitate music in in their classroom and foster community with students using all the media of the Schulwerk. *This will be an active music and movement-making workshop. Please dress comfortably. 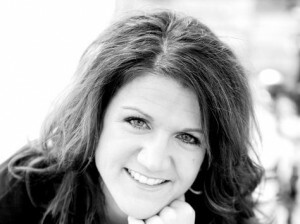 Dr. Kate Webster is a K-5 Music Specialist in the Stillwater Area Public Schools District near Minneapolis, Minnesota. Kate has experience teaching general/vocal music and choir K-8. She is also a certified yoga instructor with an emphasis on vinyasa yoga, a practice embedded with movement. Her Orff training includes Levels, Master, and Curriculum courses at the University of St. Thomas. Kate is an active presenter at both state and national conferences. She teaches Movement Level I, II, and III at the University of Missouri-St. Louis and North Dakota State University. All workshops are held at Paxson School in Missoula. Workshops are from 9:00 a.m. to 3:00 p.m. Please bring snacks to share during our breaks! 2) Login or register for an account. You will automatically go to “course registration”. You must register PRIOR to the workshop. 3) Find and register for Course #13304, Treasure State Orff Spring Workshop. 4) Be sure to sign the roster at the workshop! A few days after the course, you will receive an e-mail inviting you to evaluate the course. Log into pd4montana.hrmplus again, finish the evaluation then click on “My records” to print the OPI page for your records.